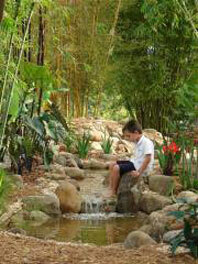 Tropical Bamboo® Nursery & Gardens is a progressive, 13 acre nursery specializing in tropical, clumping bamboo plants. The nursery is based in Loxahatchee, (Palm Beach) Florida. As long-term members of the American Bamboo Society, we have been directly involved with the most significant discoveries and events related to bamboo throughout the world. We are certified by the Florida Department of Agriculture (Registration # 47231849) and also have certificates to ship to most U.S. States (not Hawaii as one year quarantine is required for plants from the mainland). 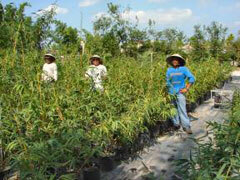 Tropical Bamboo Nursery currently offers more than 200 varieties of bamboo from container sizes to field grown. These include an exotic rainbow of culm colors, variegation, and form. Our nursery prides itself with educating our visitors on bamboo-related aspects and recommending the perfect species for each application. All of the bamboo species acquired by Tropical Bamboo Nursery were imported under strict USDA quarantine guidelines via the American Bamboo Society. Once released from one-year quarantine by the USDA-APHIS, Tropical Bamboo Nursery then test-grows and assesses the attributes of each species and determines the suitability for the local climate zone - assuring clients' complete satisfaction for years to come. Tropical Bamboo® is the premier supplier of non-invasive bamboo plant varieties that grow in a clumping form. The nursery features a display garden that surrounds a large bamboo pavilion, constructed primarily out of Guadua bamboo. Restroom facilities are available. Bamboo benches, tables, and stools provide plenty of seating. Listen to a pair of waterfalls and a small stream winding through the bamboos. Relaxing music plays and ceiling fans provide a breeze to add to the ambience. A Bali-style bamboo structure is featured and you can climb the spiral stairway in our two-level bamboo pagoda for a birds-eye view of the gardens. A series of three elephant-grass/bamboo umbrellas cover small picnic tables along the stream. Bring your lunch if you'd like to picnic in the bamboo garden. The garden is the central point for local retail sales (and mail-order sales) as the bamboo container area and greenhouses surround the garden. To the north and west, there are three large fields, which produce specimens of various sizes for applications that require a bit more instant gratification. A newer, larger production field is on the same block, just south of the main nursery (visible on road to the nursery, about a 1/2 mile before the main gate). Our staff is composed of a group of diverse and talented and, of course, friendly bamboo-people. When any group of bamboo-people gather, they feel they're among family, and our group enjoys all of the benefits of the family they've become - their pride is reflected in their product and their enthusiasm. 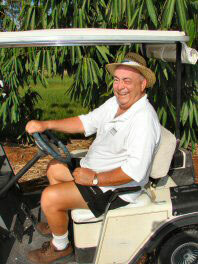 Tropical Bamboo's owner, Robert Saporito, is the president of the Florida/Caribbean Chapter of the American Bamboo Society. In 1997, we developed, and still maintain, the website of the ABS Florida Caribbean Chapter - a website that remains a fine data resource for tropical bamboo plants. Robert was a rare plant collector as a hobby in the late 1980s and worked in aviation, specifically helicopters, often in remote areas of the world. The discovery of large timber bamboos (Guaduas) while working in jungles led to a desire to grow the giant grass in his South Florida garden. Since bamboos are grasses (poacea), they are prohibited by the USDA as a live import, Robert sought out the American Bamboo Society's Florida Chapter and ultimately became President. Many of the tropical bamboo species were imported through a USDA quarantine station by the FCC/ABS in 1995 and 1997. As these amazing bamboos became more visible in the southern areas of the U.S., demand increased. The nursery was founded in the year 2000 and its current Palm Beach County location was established in 2002. Currently, Tropical Bamboo Nursery collects and imports new bamboo species directly through the USDA/APHIS quarantine facility in Beltsville, MD. More than 100 new varieties have been introduced to the USA since 2010. Bob Saporito (Bamboo Bob) is Robert's father. Every bamboo operation seems to have a Bamboo Bob and he's embraced the moniker. It wasn't really difficult to wrest him out of his retirement to help with whatever's needed (sales, deliveries, creative projects). He has become well versed on the bamboos and enjoys sales most of all so, if you stop by, you might get the Bamboo Bob Experience! manages everything customer service-related (and more). Shipment of the mail-order plants is completed early each week (usually Mondays & Tuesdays). All mail-order plants are selected, packaged, documented, and shipped by Sam. 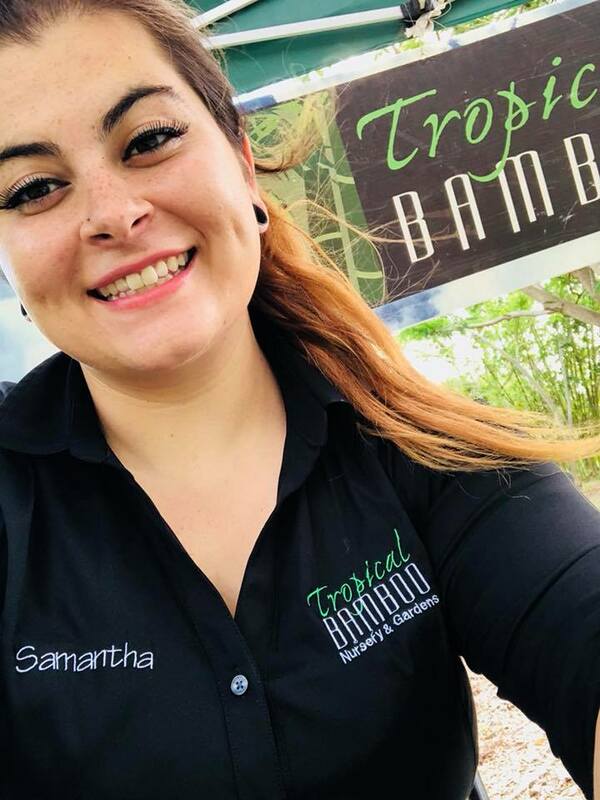 If you visit our nursery, she will most likely be the first to greet you and also to provide information/advice on the many different bamboos. She is always cheerful! Mateo Diego Salvador is our newest employee. Mateo may be new but he's already showing true leadership abilities. He's multi-lingual and very gregarious - a true asset to our team! Yes, we have another Mateo and another Diego Salvador. All three are cousins and family names are often recycled, sometimes causing some confusion here. They all have nicknames, of course! Pablo Leonardo has been with us since 2004, most often working in production/propagation. Pablo is almost perpetually smiling (unless he's not eating lunch by 2:00 or still working after 4:30). Mateo Santiago leads the nursery staff. He maintains all systems, assigns tasks, and solves problems. Mateo sets a fast pace but controls quality. 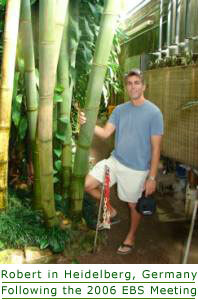 He will also often help with sales, as he is one of the top bamboo experts, worldwide, and very personable. Marcos Gonzalez is, like Mateo Santiago, very versatile at out nursery. Both are fluent in English and Spanish (plus two Mayan dialects) and will go out of their way to make your visit informative and pleasant. Marcos primarily works in our propagation areas and also operates all of the various agricultural machines. 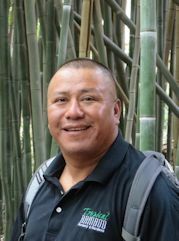 Pedro P Francisco (Repollo) is primarily in charge of large specimen production, weed control, and specialty propagation. He's also the unofficial comic and keeps things light with his (sometimes unintentional) dry wit. He prefers to be addressed by his nickname, Repollo, which was affectionately bestowed upon him by his co-workers. Repollo is Spanish for cabbage-head (see photo - left). Diego Salvador is young, energetic, multi-lingual, and just a bit mischevous. He maintains the beautiful display garden at our nursery so you'll likely run into him when you arrive. Alberto Pedro is our old-man (not literally - he's just the most mature member of our bamboo family). 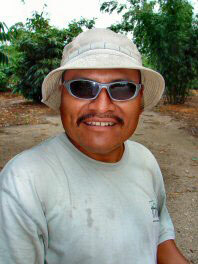 As a production/propagation specialist he's steady and reliable, Alberto always leads by example. * The words Tropical Bamboo protected only as used as a proper noun, with uppercase first letters, for the sale of live bamboo plants.